"Jo's soaps and lotions are some of the very best I've tried. The soaps last a long time and have a great lather and a great fragrance. and the cedar, sage, rosemary is absolutely to die for!" I'm also never without my lip balm! It is the most soothing one I've found. Thanks Jo, for your wonderful products! Your products rock! I bought your sea salt scrub a month or so ago. I am truly in love with the scrub. I particularly like the patchouli hemp lotion because I smell fresh and clean where ever I go. It does not mess with my environmental allergies, either! Not a day goes by without someone stopping me to ask what that wonderful smell is! I received one of your soaps for Christmas and love it! How can I order more? hands is cleaning folks all over this country. I hope this thought cheers you. We love the lemon! Hello. I just loved the Citrus Scrub when I used it last night! So fabulous! I adore the spearmint! I keep a bar under my pillow, so I can smell it all night. I think it's improved my dreams! I can't wait to get up in the morning and shower with it! The Lavender/Oatmeal soap deep-cleanses my entire body. It feels like a gentle body scrub and smells so wonderful. pores of my face and draws out toxins. leave a "waxy" feeling, and your Spearmint soap makes my whole body feel clean and fresh. It has a real "tingly" feeling to it. 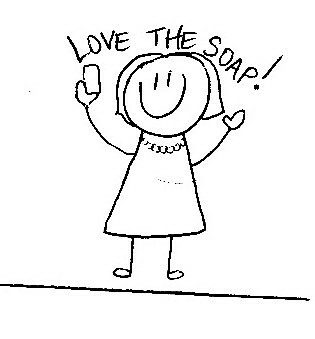 I love your soaps, because they seem to help my sensitive combination skin. It feels good to know that I am not absorbing a whole bunch of chemicals through my pores when I wash up. I love the oatmeal soaps and the spearmint and rosemary soaps the most. Just want you to know the reaction of those who were new to your wonderful products. Lotion for several of them who had repeatedly asked which scent we were wearing and you know that is our favorite. Just thought you should know how delighted they all are. Thank you for the wonderful b'day gift for my mom (the cucumber melon scrub). She would like to a get a list of everything y'all make. She wants to get some for Christmas presents. I absolutely love Jo's patchouli hemp lotion. It is what I use for my all over fragrance now and I get so many compliments.